Here on the Upper Mississippi it’s May, which means winter is just about over; people are creeping outside and beginning to put things on the grill; and the redolent smoke is floating through the late evening, a sign and seal of the approach of summer. Sometimes these nice Midwestern folk call what they’re doing barbecue; and while they’re good people, that “just ain’t right.” Barbecue is … well, What Barbecue Is happens to be the subject of this podcast. Once again, the eminence grease of Southern Sociology and Self-Understanding, John Shelton Reed, joins Al Zambone, this time to talk about North Carolina barbecue, the subject of a book he recently coauthored with Dale Volberg Reed and William McKinney. Holy Smoke: The Big Book of North Carolina Barbecue is not only a history and sociology of North Carolina barbecue; it’s not only a set of interviews with some of the foremost practitioners of the art; it’s also got recipes and instructions on how to build your own barbecue pit so that you can cook a whole hog. We don’t want to brag, but, we have to say it: this is our most delicious podcast yet. And since Reed will soon be coming out with a book surveying the rest of the Southern barbecue scene, he’s sure to be on Historically Thinking again. Reed thinks this review of his book by Bill Kauffman got what the book is all about. 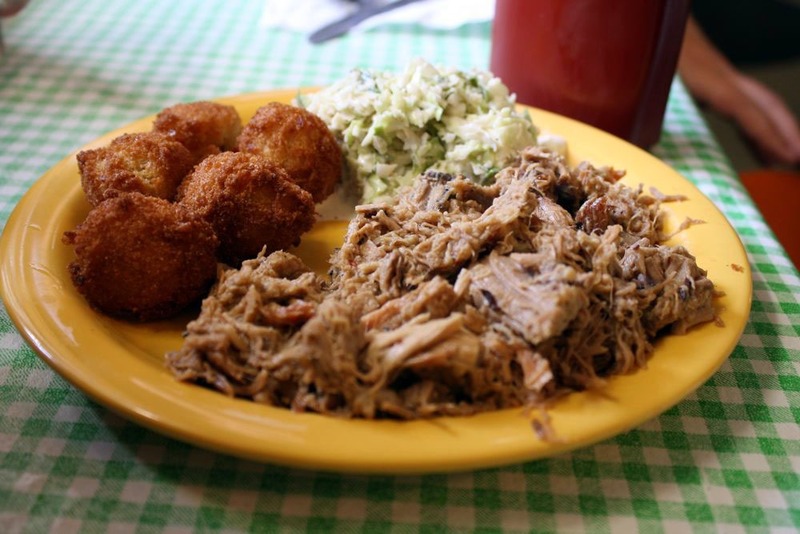 Allen & Son Bar-B-Q–they don’t have a website, but they have a Yelp page full of happy customers. Don’t even bother to read it. Just go eat there, OK?